There's nothing like a bold statement shoe to anchor an outfit. 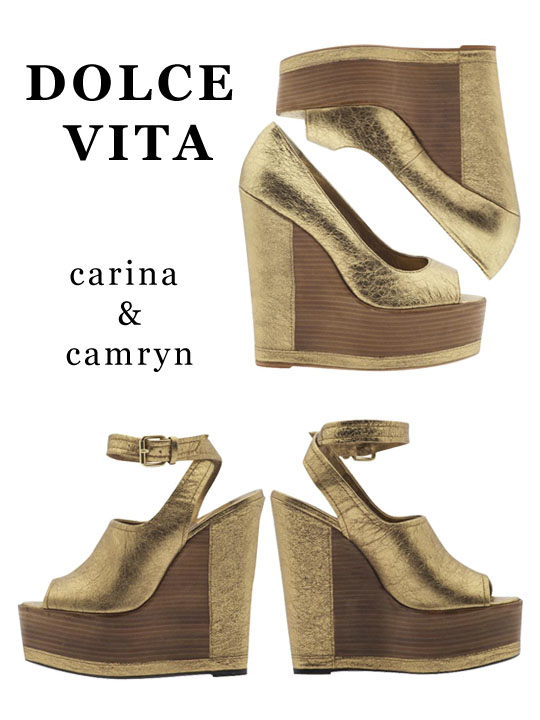 These metallic wedges by Dolce Vita are sure to be a conversation piece! With the golden metallic acting as a neutral, these beauties are perfect for a variety of occasions. Pair them with jeans and a top for a casual, cool look or a printed dress for a more feminine, flirty style.